"Look who's back! Muhammad Ali." That was 1980, when he was back on the cover of Sports Illustrated. Now, the 73-year-old heavyweight boxing legend is back again, inking a multi-year sponsorship deal with Under Armour. Under Armour announced Wednesday it will launch a "lifestyle apparel" line bearing Ali's likeness and motivational phrases next month. It will also use photos of Ali in marketing campaigns. 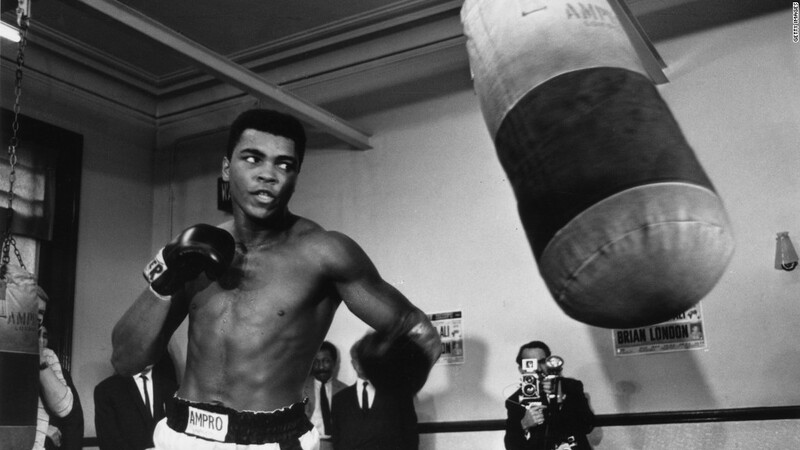 "Ali is one of the most recognized and celebrated figures of all time," Under Armour noted. When Ali was 18 years old, he won an Olympic gold medal at the 1960 games. Then he returned home to a high-profile career that included a series of boxing titles, his conversion to the Nation of Islam and several forays into politics. He retired in 1981 and has since revealed that he is battling Parkinson's disease. His accolades include the Presidential Medal of Freedom, the nation's highest civilian honor. Ali was born as Cassius Clay and he began boxing as a young man after his bike was stolen.